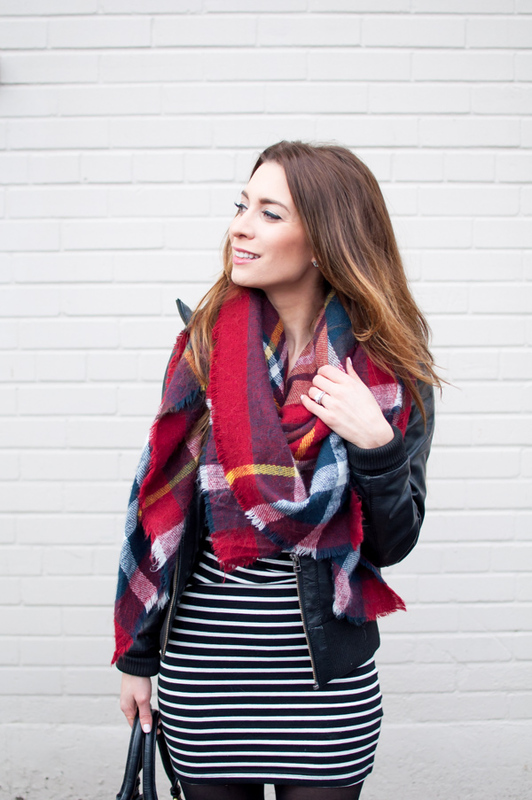 OOTD - Zara Plaid Blanket Scarf + Hunter Boots | La Petite Noob | A Toronto-Based Fashion and Lifestyle Blog. I love my black hunter boots! The boots provide a bit of a silver lining when it's raining outside since it's the only time that I get to wear them. I'm looking forward to adding a red pair of Hunter boots in the Springtime! Are you like me and tend to stick to your comfort zone when the weather outside is crummy? 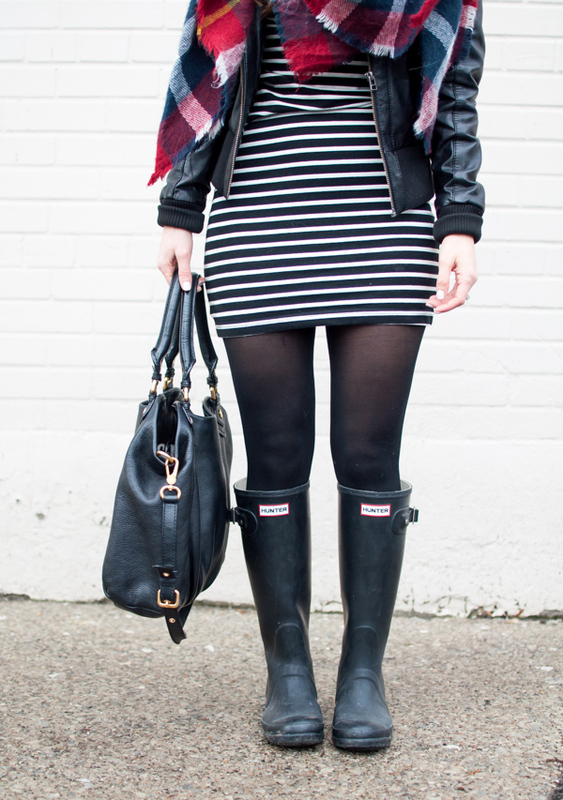 What's your rainy day style? Let me know! Nothing wrong wit having a white wall as a background it is a good contrast to your black Tights and Wellingtons, I always jump into my Wellingtons at the slightest hint of rain I just hate getting my Tights splashed and I always have a feeling of security when I've got my Wellingtons on. Thanks Julie - maybe the white wall isn't all bad! I totally agree about splashing around in rain boots - total security! I must say, the white wall is the perfect contrast for showing off this fab outfit!! Can't wait to see your red Hunters!! I wear mine with thick socks all winter long because mother nature likes to give Montreal slush as a present. Yuck! Thanks Kris! My next pair will definitely be a half size bigger than my black ones - they just fit, making them great for walking in the rain, but impossible for squeezing a socked foot into! I like the white wall! It lets us focus on the outfit! Plus I think it looks great on Instagram. Thanks Emily! Wow, maybe now the white wall is starting to grow on me LOL! Thanks Claire, I'm glad that you like it!